Our stable doors are a versatile and practical addition to your home. Bring country charm to your property with this classic, multi-functional design. Stable doors are the perfect option for country farms or cottages and offer a classic and charming alternative to traditional doors. Their two halves open independently from one another, allowing for quick and easy ventilation whilst allowing you to keep your children and pets safe. Just because you are renovating your property doesn’t mean you have to lose the features that give it character. 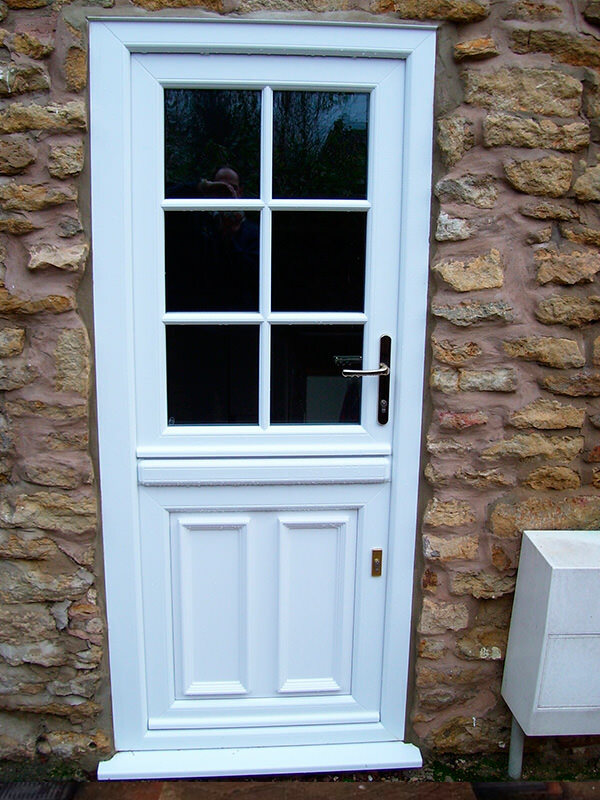 Our stable doors allow homeowners to achieve a beautifully traditional, country look. Available in a wide range of colours and styles, they are sure to be a stunning addition to your property. The dual sash design that is the signature stable door design is not just skin deep, as it allows for enhanced functionality. You can operate the sashes individually from each other if you wish, which means you increase air flow and enhance views without compromising home security. We also fit all of our stable doors with high security locking systems and anti-snap locks, this ensures that although they may be traditional in appearance, they benefit from all the advancements of modern technology. Select Product’s spectacular range of stable doors allow you to enjoy the classic heritage aesthetic with all the high-performance functionality that our customers require. These rurally styled stable doors are widely popular in West Yorkshire, and are available in two highly performing materials- composite or uPVC. 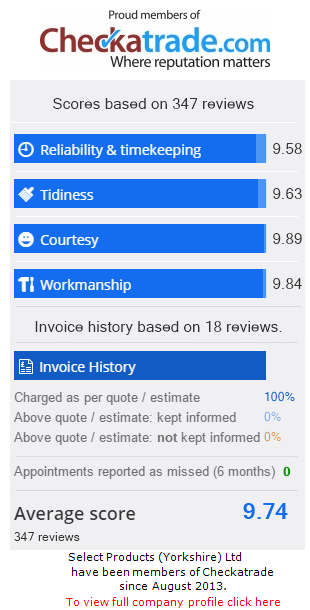 We supply and fit our high-quality stable doors in Leeds, Bradford, Ilkley, Harrogate, Otley, Wetherby, Horsforth, Pudsey and Yeadon at very competitive prices and are proud to have received numerous positive reviews on Checkatrade praising our expert installation professionals’ reliability and workmanship. 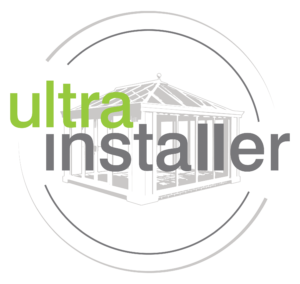 Your home will be in safe and capable hands with our 20 years of installation experience. Made using only the highest-grade uPVC materials, our uPVC stable doors offer both elegance and functionality at an industry leading standard. uPVC is both durable and easy to care for, meaning costly and time-consuming maintenance is a thing of the past. 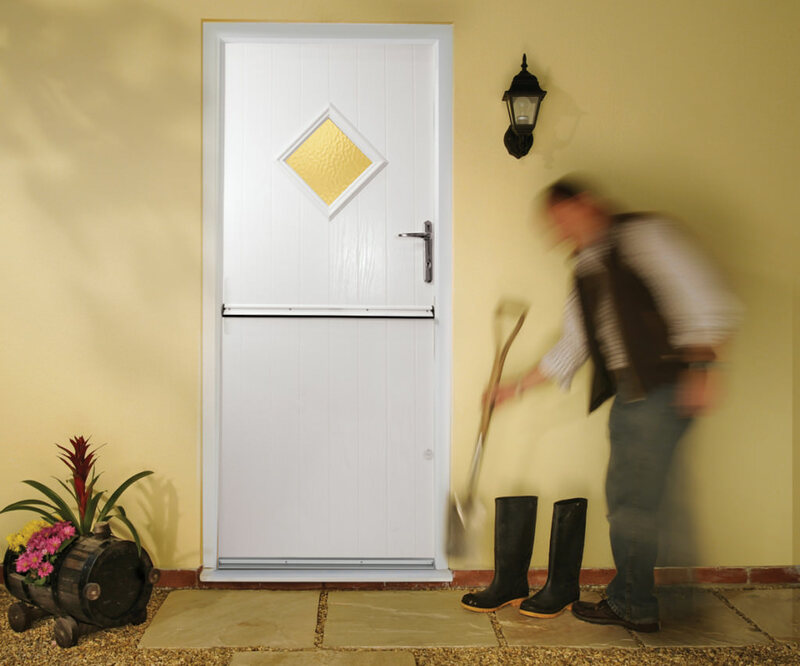 The occasional clean is all that will be needed to keep your stable door looking as good as the day it was installed. Composite stable doors are manufactured using a combination of uPVC, insulating foam, wood and glass reinforced plastic, allowing them to benefit from the unique advantages of each material. Composite doors are well known for being extremely strong but also versatile, meaning they are resistant to extreme weather changes often seen with the unpredictable British weather. 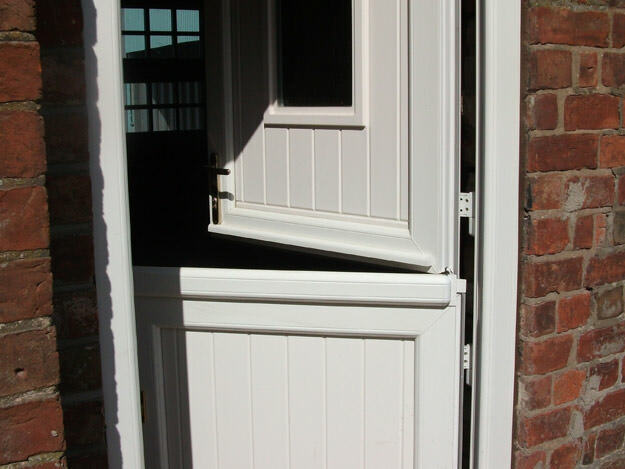 Our stable doors are designed to give you maximum security to keep your family well protected. All of our stable doors feature a multi-point locking system, endorsed by the Master Locksmiths Association, giving you peace of mind and keeping your insurance company happy. The robust internal structure used in both our uPVC and composite stable doors also lends a consistent robustness throughout the entire door frame, leaving no ‘weak spots’ that are vulnerable to attack from would-be intruders. Here at Select Products, our versatile stable doors are available in a variety of attractive colours – with such a wide choice available, you are sure to find a stunning match for your home. Whether you are looking for doors to blend in seamlessly or add a pop of colour to your house, we have the ideal shade for you. Customise even further with our spectacular range of decorative additions. We also pride ourselves on being an environmentally-conscious company that cares about the environment. That is why all the wood used in our composite doors are sourced from sustainable local suppliers in order to keep our environmental footprint as low as possible. Enjoy all the benefits of timber in your composite stable doors without the guilt. Our stable doors offer complete versatility, with high-calibre hardware fitted as standard for effortless functionality. This hardware is also available in a range of finishes to allow them to perfectly complement your door’s colour selection. The handy, independently opening halves function allows you to quickly access your garden or increase ventilation into your home, whilst at the same time acting as a lockable gate for the safety of pets and young children. Our products are built to last. We are so confident in the longevity of our stable doors that we offer an impressive 10-year guarantee supported by HomePro for all of our fantastic uPVC and composite designs. You can sleep easy knowing that you will enjoy the enhancement that our doors bring to your property for many years to come. We want you to spend time enjoying your doors, not maintaining them. That is why our stable doors are designed to require minimal effort on your part to keep them looking their best. To reduce hassle for you we have ensured that our products only require the occasional clean to stay looking as good as new- no more time-consuming maintenance needed. We use only the highest quality materials in the manufacture of our stable doors, ensuring we maintain the standard that our customers have come to expect from us. Our stable doors are excellent thermal insulators, and are rated A in energy efficiency. This is achieved through their intelligent internal structure, designed to trap pockets of warm air inside the door’s frame. These pockets of warm air reduce the heat your property loses to its surroundings, keeping it warmer for longer. Not only will this increase in insulation reduce your property’s carbon footprint, it could also lower your heating bills throughout the colder winter months. This means you can be happy knowing buying your stable doors with us benefits the environment and your bank balance. 10 year insurance guarantee backed through HomePro. Superior quality uPVC and composite stable doors. Eco-friendly construction- all our wood is from sustainable local sources. All our doors feature Anti-Snap locks as standard. Interested in investing in a stable door for your Leeds property? We have the perfect choice for your home, no matter your taste or budget. To generate your unique price estimate in seconds, use our free and instant online stable door quoting system today. Just enter your door measurements and favourite style and get your quote in the click of a button, it really is that easy. If you would like to know more about our stable doors or any of our other products, you can get in touch with us via our online contact form or call us here on 0113 257 8933. A member of our friendly team is always happy to offer advice if you are unsure of where to get started on your home improvement. We are a highly credible TrustMark and BFRC registered company.